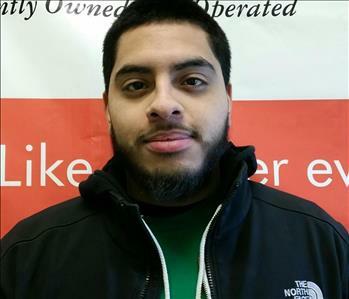 Andrew Nunez is one of our production techs at SERVPRO of Hoboken/Union City. Andrew has been a part of our team for 1 year now. He has excelled in his position and is a reliable compassionate team member. 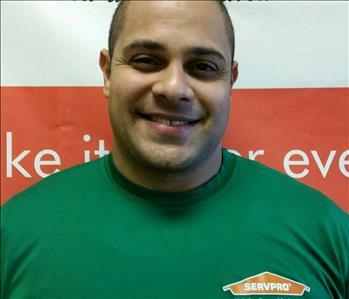 Jose Guzman is one of our Crew Chiefs at SERVPRO of Hoboken/Union City. Jose has been a part of our team for 2 years now. He has excelled in his position and is a reliable compassionate team member. Jose has proven to be a great addition to our team, and has shown true dedication and teamwork. 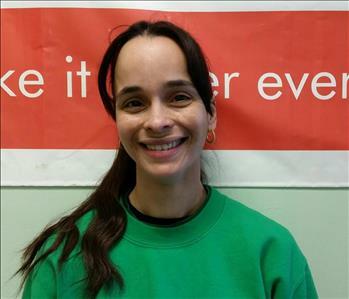 Maribel Ruiz is one of our production techs at SERVPRO of Hoboken/Union City. Maribel has been a part of our team for 2 years now. He has excelled in his position and is a reliable compassionate team member. Maribel has previous experience in Auto mechanics, and is currently the only woman we have on our crew. Maribel might be small, but she is a hard worker and keeps up with all our guys on a day to day basis. 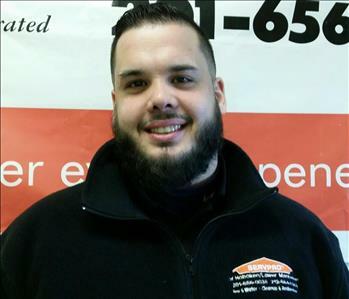 Mike Carpio is one of our Production Managers at SERVPRO of Hoboken/Union City. Mike has been a part of our team for 3 years now. He has excelled in his position and is a reliable compassionate team member. Mike has back ground in Auto Mechanics and knows the ins and outs of the restoration business. 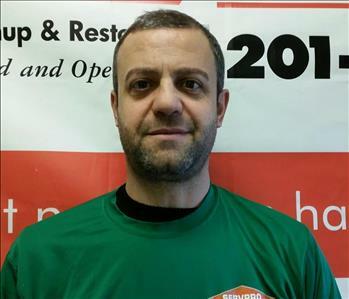 Yasser Fayssal is one of our production techs at SERVPRO of Hoboken/Union City. Yasser has been a part of our team for a few months now. He has excelled in his position and is a reliable compassionate team member. Yasser has a background in furniture building and is a great addition to our team. 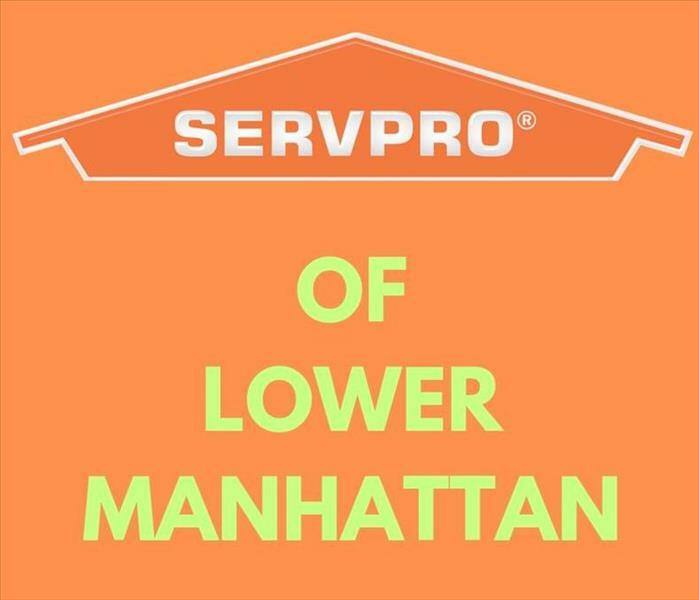 Jeffrey Lupo has been a General Manager for SERVPRO Hoboken/Union City for 3 years now. Jeffery has a background in Commercial Distribution and leads the office and crews to reach their goals on a daily basis. 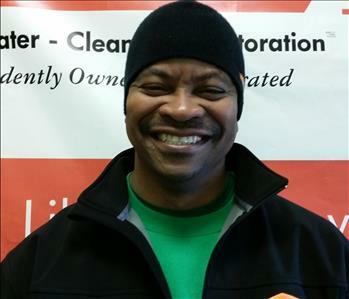 Raheem Coleman is one of our Crew Chiefs at SERVPRO of Hoboken/Union City. Alfonso has been a part of our team for 1 year now. He has excelled in his position and is a reliable compassionate team member. Raheem has a background in Commercial Distribution of goods. He has proven to be a loyal dedicated part of our team. 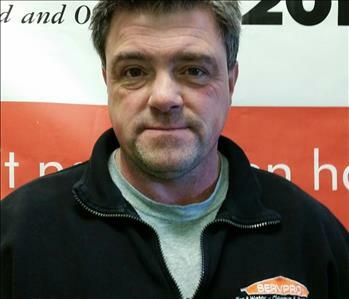 Stephen Roberts is one of our Crew Chiefs at SERVPRO of Hoboken/Union City. Stephen has been a part of our team for 1 year now. He has excelled in his position and is a reliable compassionate team member. 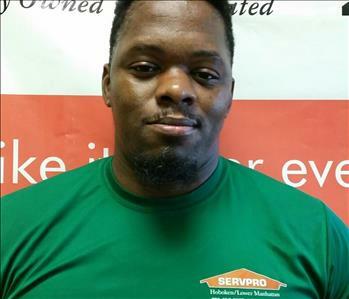 Stephen is a hard worker and says he is proud to be a part of the SERVPRO "A TEAM" .